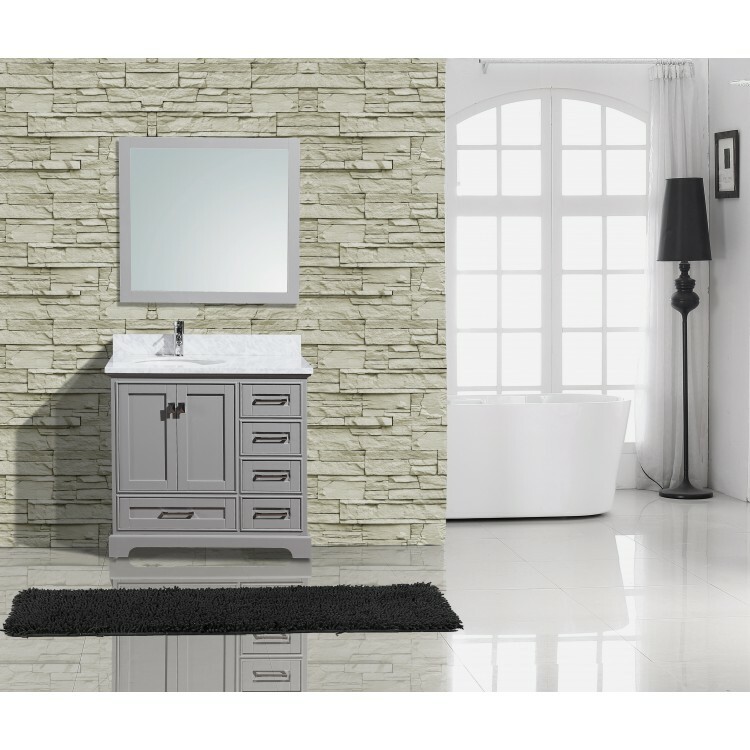 Floor standing, all wood vanity with two soft close doors and five drawers. 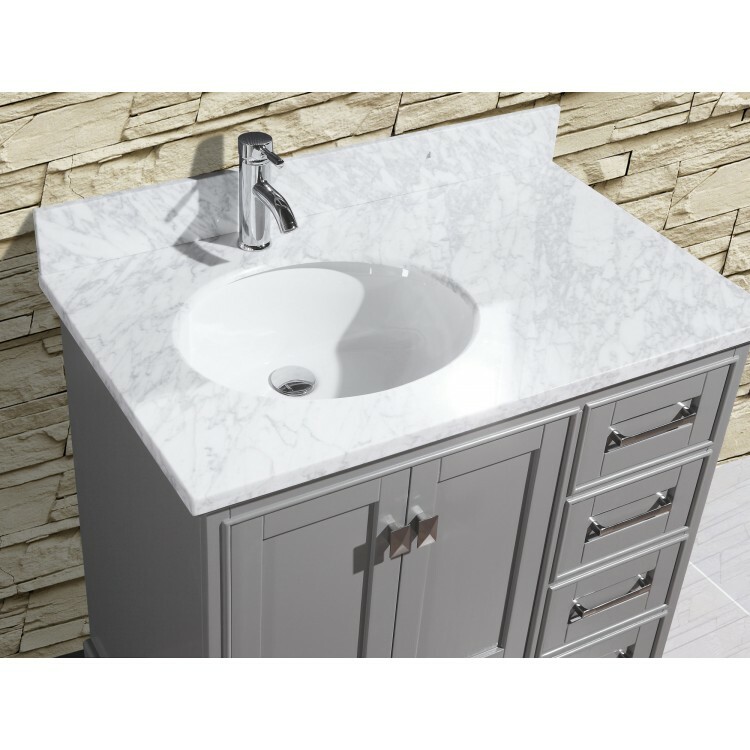 Carrera marble top with undermount sink. Brushed nickel hardware, faucet not included. Mirror and backsplash included.